Humans, I believe, were created to live in community. Life is always better shared with those who have similar values and goals. We find friends who share our similar paths, we go to church to deepen and encourage our faith, and we become friends with other mothers who have "been there". A support network is invaluable for anything we set out to do. When I started to study nutrition and naturopathy, I was very lucky to find a supportive and active food coop that provided me with great resources and tons of information. Not long ago, while reading a Livingston Parents brochure, I read about a group called the Holistic Mom's Network that met monthly and thought I would check it out. Little did I know at the time, one of the leaders of my local chapter of the Holistic Mom's Network is in my food coop and the director has also recently joined my food coop. Andrea and Daedra are wonderful leaders in the Detroit Chapter of the Holistic Mom's Network. Andrea Stevens started the Detroit chapter in August of 2008. She came across the Holistic Mom's Network online while searching for a natural remedy. Disappointed at not finding a local Michigan chapter she applied to start one. Thanks Andrea for being so proactive! The Holistic Mom's Network is a "national, non-profit support and resource organization for parents with an interest in natural living and mindful parenting." They "encourage natural, mindful parenting and support parents in their efforts to raise their children holistically." They "welcome all individuals and families interested in natural living, health and wellness, mindful parenting, a sustainable environment and better balance in life." They were started in 2002 by a group of mom's "who were parenting to a different beat and yearned for the support and friendship of others who shared their viewpoints." Great Monthly Meetings. We meet monthly (at the Plymouth Library for you local folks) and get great speakers on a variety of topics. In the past we've had nutritionists, chiropractors, naturopaths talking about a wide variety of topics in the field of natural health. I asked Andrea for a sneak peek of what is coming up and listen to the great stuff planned: simple ways to go green around the house; organic gardening and composting; healthy nutrition for your family; homeopathy; thermography; and holistic options for detecting cancer. I'm pretty much interested in all of those topics and can't wait to hear more! Thursday morning playgroups. I haven't been able to avail myself of this great resource yet (my kids are in preschool on Thursday mornings), but summer is coming and it will be fun to get my kids together to play with other kids while being able to talk to a few of the other moms! Mom's night out events. Every so often HMN plans an activity that is just for mom's to get out and do something fun together. One night it was working on glass blowing with Daedra. Lending Library. As you can imagine, these mom's are great resources of information and HMN has started to organize a lending library to pool books and resources. National and Local Email loops. Once you join the loops on Yahoo there is no end to the discussions you can join. Or if your child wakes up at 2AM with some sort of malady, you literally have 100's of mothers at your fingertips and chances are at least one of them has a great remedy they could recommend to you. The loops are fun to sit are read when you have time. Newsletter. Each member receives a subscription to The Wise Mom, HMN's informative, electronic newsletter featuring articles on holistic living and conscious parenting. Fantastic Cookbooks! For a $15.00 fee you can purchase a great cookbook with tons of holistic and nutritional recipes to make for your family. Pick up a copy at the next meeting or at the Green Street Fair (see below). Proceeds go to support the Holistic Mom's Network. If you live in the Detroit area, join the Detroit Chapter of the Holistic Mom's Network at the Green Street Fair in Downtown Plymouth. The Green Street Fair will be held May 1st (noon to 7pm), 2nd (10am to 7pm), and 3rd (10am to 5pm). Come say hello and get more info on membership and meetings. 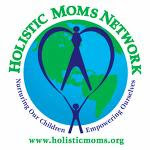 There are Holistic Mom's Network Chapters all across the country. Click here to see if there is a chapter near you. It is so nice to learn from other mom's who have the same interests and values. Great information on your blogs! Wanted to let you know that I gave you an "Attitude of Gratitude" award at my blog!